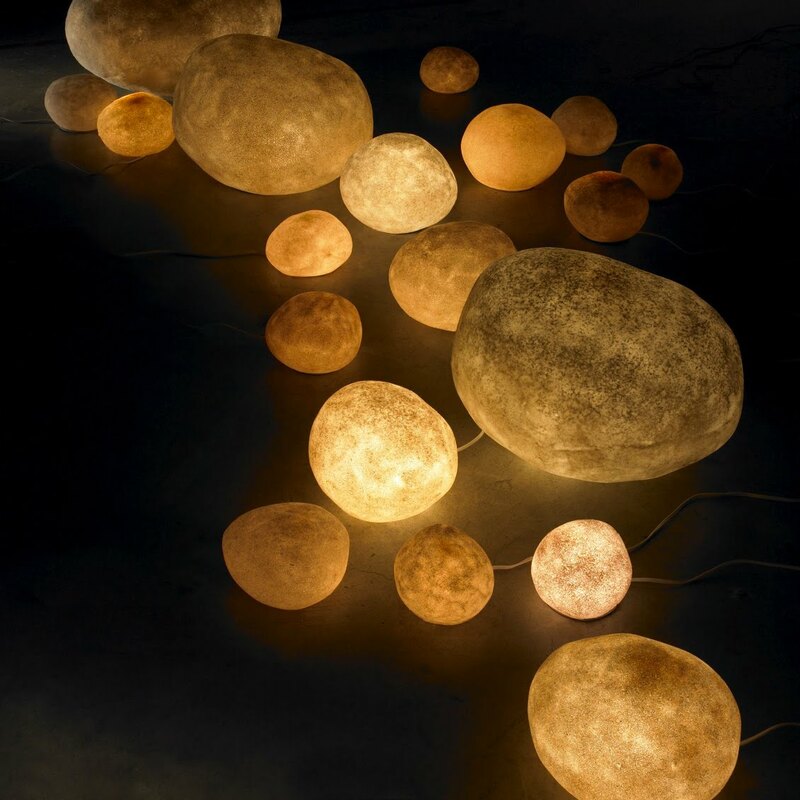 These Luminous Rock Lamps are a customer favorite. 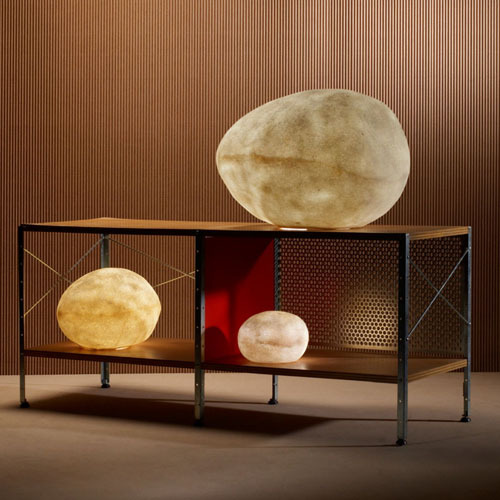 The Luminous Rock Lamp collection was designed by French designer André Cazenave for Atelier A in Paris France around 1969. This wonderful range of modern floor- and table lamps was inspired by nature and conceived to introduce nature's design into the home with new visual nuances and sensations in contemporary home interiors. According to its creator, the Luminous Rock Lamps, with their distinctive organic shape and natural colors, was designed to bring the outdoors inside the urban living environment and to re-establish the relationship between people and the source of nature. 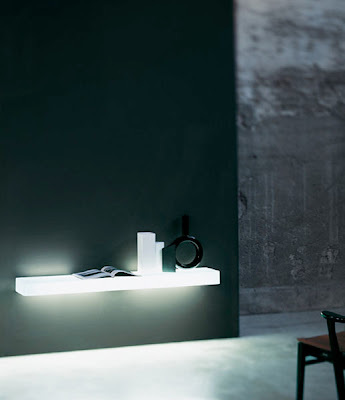 These lamps combine two distinctive important features of nature; light and earth. The various available sizes of these lamps allow for entire luminous landscape arrangements. Single pieces can be used for accent pieces on the table top or in a corner of a room. 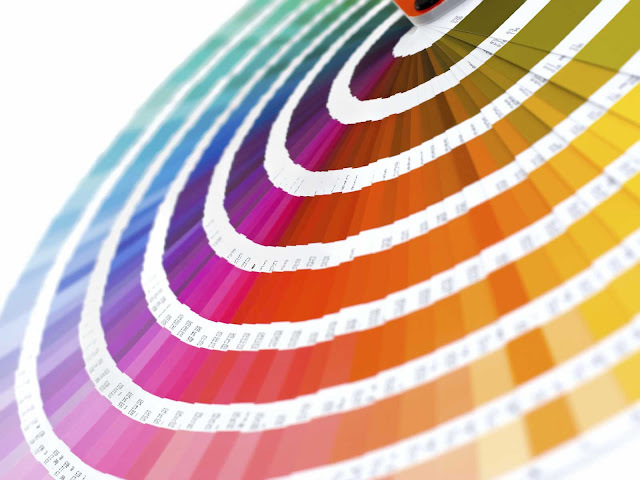 There are thousands of different types of modern floor lamps available for your interior. But nothing comes close to these beautiful floor lamps that resemble natural rocks. Modern floor lamps like these do so much more than illuminate your rooms with ambient lighting. These modern floor lamps can blend in with your decor or become a striking feature of your living room. 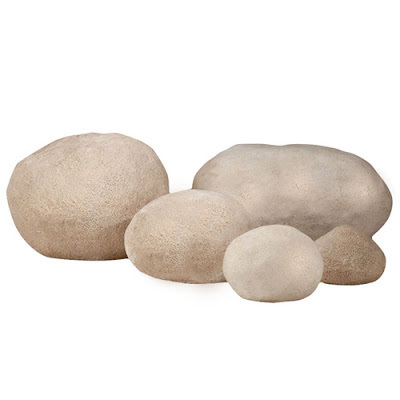 These modern floor rock lights have been chosen here today since they will basically fit in with just about any style of decorating that you can think of. 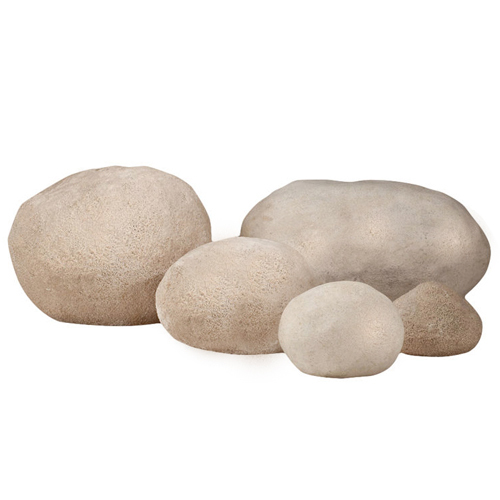 These floor rock lights will add warmth and character to your room. These lamps have a regular cable with on/off switch. They can be used indoors and outdoors. 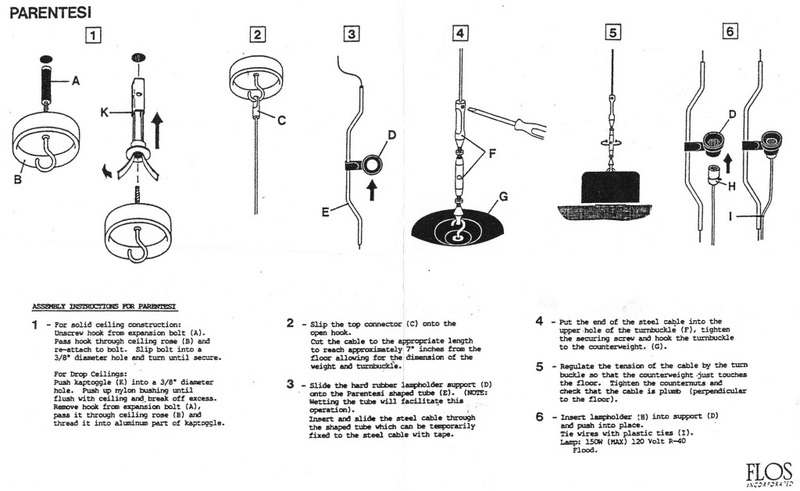 Each lamp uses one light bulb. Light bulbs are not included. Let's save you some money! Receive exclusive coupons, promotions and flash sale offers!